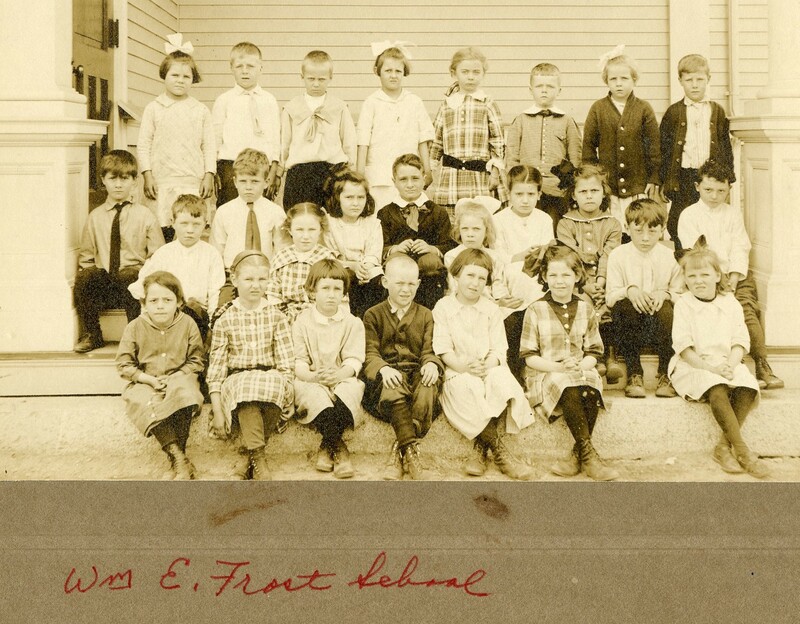 The museum staff and volunteers are looking forward to welcoming Westford's Third Graders for tours later this month! The Westford Academy Museum Club is also assisting with this fun annual event! 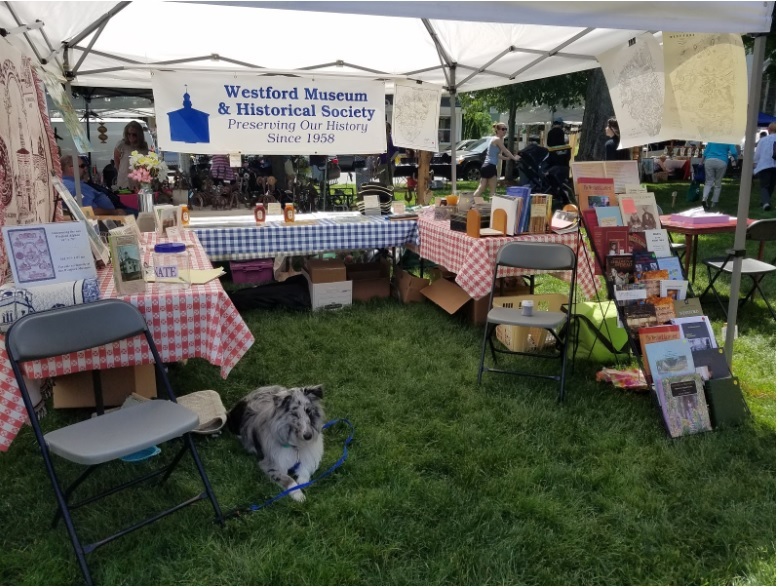 Bob Oliphant is working on a program on early immigration to Westford, continuing our 2019 theme of Westford's immigrants. Our February History Discussion group was quite popular! Did you miss it? You can find the information on our website. Thank you all who joined us for the sold out Wild Women of Westford. 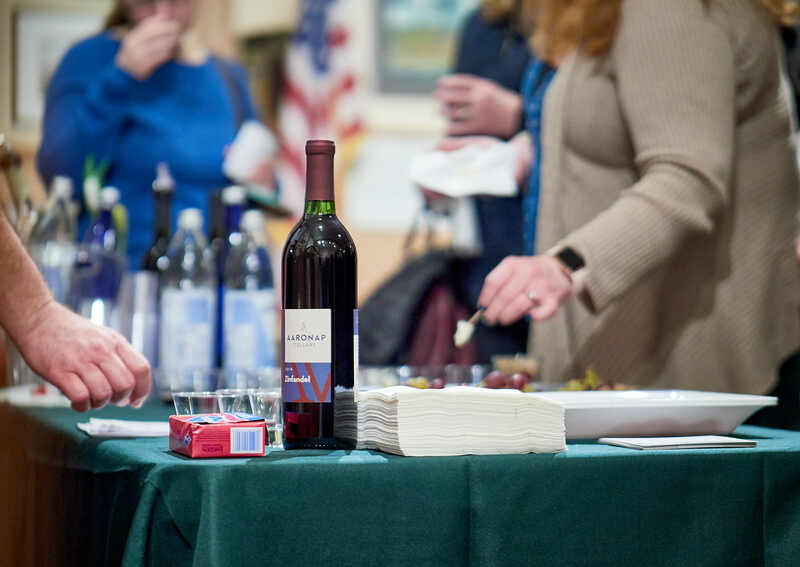 It was a fun evening of stories of notable Westford Women with wine from Aaronap Cellars along with cheese and sweets from Mill City Cheese Mongers. The Westford Historical Society is blessed with a collection of Westford Remembrance Women Dolls that represents 13 notable women of Westford History. Each and everyone of these dolls and the women they represent have a story to tell and what better time to tell it than March, National Women's History Month. 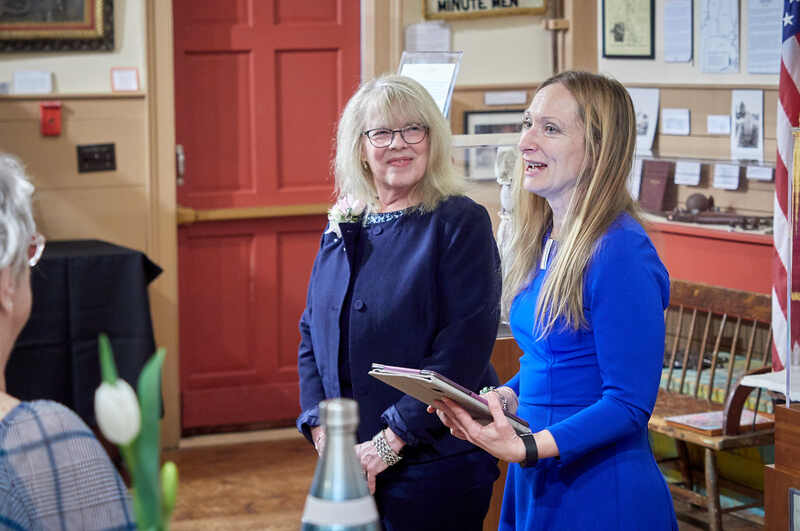 Our storytellers Deb Banerjee, Penny Lacroix, Ellen Rainville and Lisa Sama reminded us of the strong dynamic leadership of a few of our wild women of Westford, Sarah Keyes, Emily McKniff, Ellen Swallow and Jean Downey. However, the true highlight of the evening was celebrating the contribution Ellen Rainville has made to our community and the future history of Westford. A special thank you to our sponsors, Middlesex Savings Bank and Westford Family FunFest. 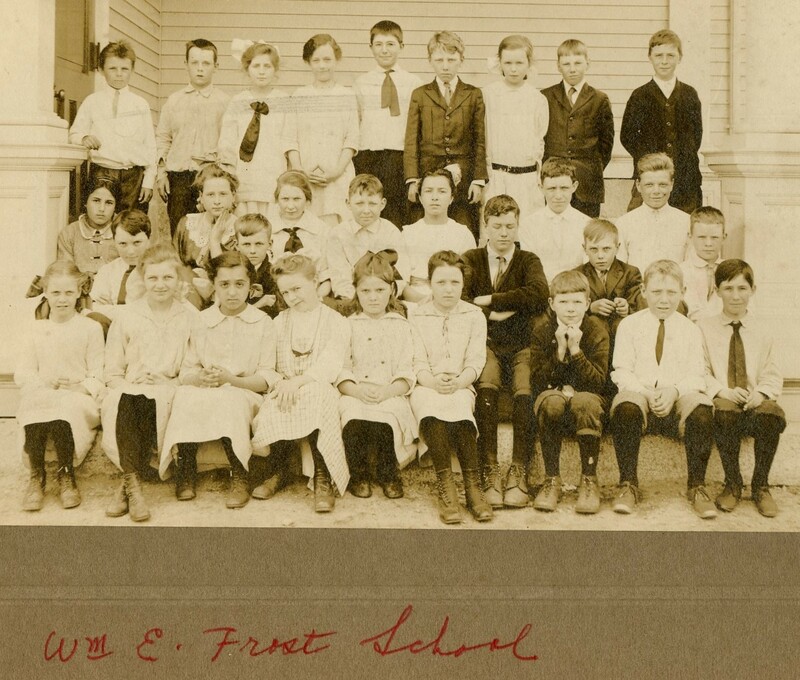 Can you help us identify these school children from the Frost school about 1918? Thanks to Marylin Day, we know that the young girl in the picture below on the right end of the first row is Ruth E. Swenson (b. 1908) and was the daughter of Carl and Ann Swenson. Ruth graduated Westford Academy in 1923. Can you identify any of her classmates? Please email your responses to Linda Greene. Did you know that Concord Road between Route 495 and Beaver Brook Road is being dedicated by the Commonwealth of Massachusetts and the Town of Westford as "Colonel John Robinson Memorial Highway" recognizing the heroic service of this Revolutionary War Commander? Who was Col. John Robinson and why should we remember him? 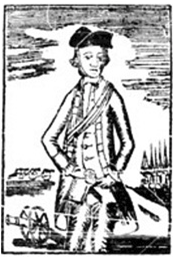 Why did he and oth er Westford militia and minutemen turn out on the morning of April 19th, 1775? How else did he contribute to the effort to gain independence from Great Britain? Following the dedication of the Col. John Robinson Memorial Highway by the Westford Remembers Committee, Dan Lacroix will discuss Col. Robinson's significant, and largely unrecognized, contributions to the fight for independence and to the town of Westford. He will also provide an overview of the Robinson Trail March from Westford to Concord's North Bridge that occurs on Patriot's Day. The Memorial Highway Dedication is one of the first steps in recognizing Westford's role in the War for Independence as well as all of our Minutemen and Militia who served. The cemetery service will include some speakers and the State sign will be unveiled. It also gives you an opportunity to see Col. Robinson's headstone alongside his family as well as see the need for preservation of this National Registered Historic Place, which includes new fencing, new granite posts, new flag poles and a Minuteman Memorial Statue. Westlawn Cemetery is located at Concord Road and Country Road. For more information on the Dedication please see The Westford Minuteman website. Dan Lacroix leads the Westford Minutemen and is president of the Westford Historical Society. Free admission. P.S. Curious about Mrs. Robinson? Learn a little about her here! This one-person play about Peggy, a slave owned by family of Joseph Hildreth, Jr. of colonial Westford is written and performed by Gwendolyn Quezaire-Presutti, an award-winning living history performer who, for the past twenty years, has engaged audiences with performances giving voice to real-life accounts, struggles, self-determination, and triumphs of women. Her work is deeply researched and based on Westford archival materials. Our wish list is getting shorter thanks the generous donations from society members: Phylis Carrow, Linda Bailey and John Forcucci.